From looking at the small images posted on the Kyoani webpage for Mio, it seems that the paint job is pretty good. Certainly from the first comparison image, the transition from 2D to 3D has been completed faithfully, with great design and sculpture (if you could call it that). Her facial features are less angular and softer in comparison to the anime, but this is a good thing. I like how the facial expression remains as close as possible to the original too ^^. Then there is the detail on her billowing dress, her arm sleeve thingos, and the apparent high quality paintwork. 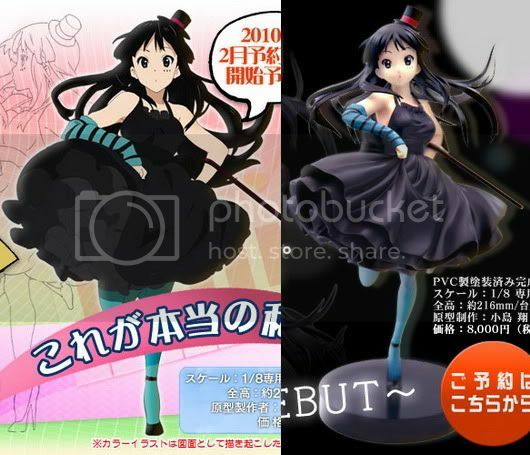 From these low quality images it’s hard to tell, but it seems the manufacturers have done a nice job on the paint detailing, with even colour across Mio’s complicated dress and the vivid blue stockings. 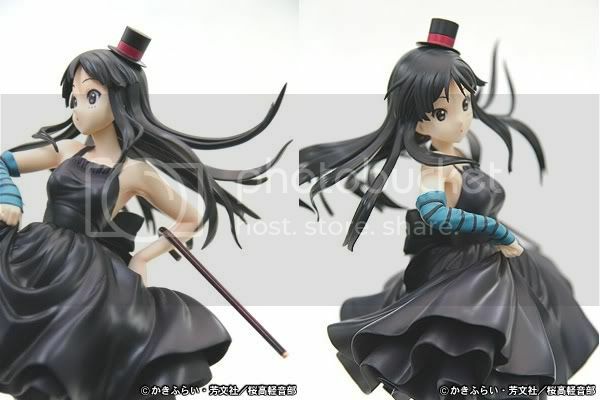 My only concern is upon studying the above photo; the way Mio’s head is attached to her neck has a large seam. You cannot discredit a figure for this as there are always manufacturing lines somewhere, but it would be a shame to have an awesome figure such as this, whereby it is only viewable from the front or from an angle where her chin hides her neckline. –Photos courtesy of NekoMagic (Slightly NSFW), or alternatively Kyoani. This entry was posted in Anime, Figures, K-ON! 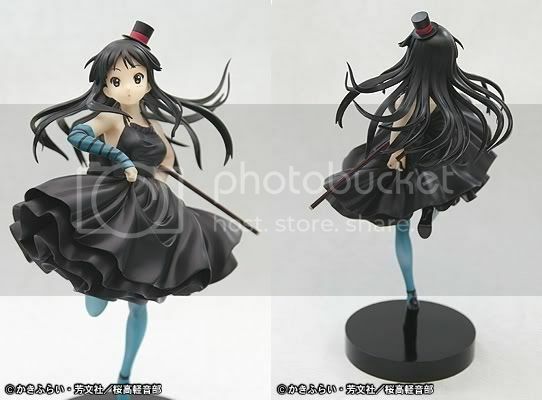 and tagged Akiyama Mio, Figure, Figures, Figurine, K-ON!, Kagami, Kyoani, Neko Magic by Chris. Bookmark the permalink.